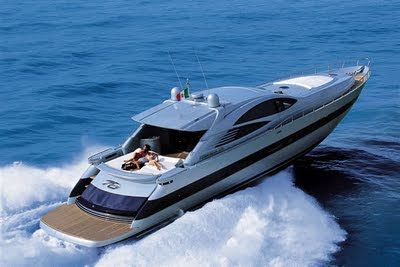 2004 Pershing Built Silver Sea. A perfect, harmonious balance of stylistic elegance, superb performance and innovative engineering; the Pershing 76' is the father of the "next generation" of yachts. It boasts a modern design and an original arrangement of spaces: the new layout features a bedroom area completely separated from the lunch area with private access from the spacious, functional upper saloon. In the Pershing 76', every interior has been conceived to provide truly exclusive comfort.